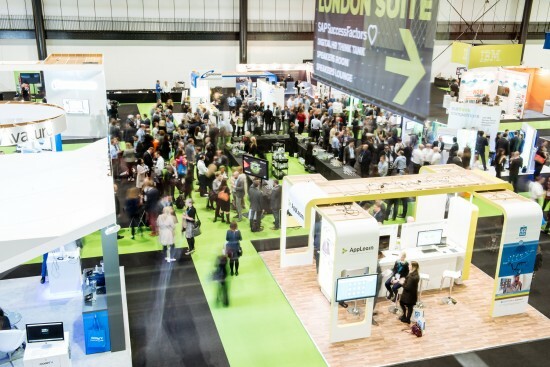 The 2nd HR Tech World was held in London’s ‘ExCel’ centre – oh the sweet irony, and a pertinent reminder of how far we have come! Here is my view of some of the themes emerging from the conference. This was an excellent conference with good speakers, a mix of old and new and enough space for good conversations which is what the event is all about. But first things first, here are all the presentations from HR Tech Congress in one place which is a fantastic resource to flick through. John Sumser declared “The end of the HR enterprise software era” at HR Tech in Amsterdam 2013, we have now automated pretty much all we can. Software continues to feast on HR, starting with the horrible bits we don’t like and leaving the tasty morsels to our managers and HR people and change superstars – well that’s the theory anyway. Lots of orgs have moved to the Cloud, so we are accumulating lots of lessons and methods to internalise before embarking on our cloud journey. There was a whole steam dedicated to user adoption for example with presentations from Rolls Royce and Cushman & Wakefield. Before moving to the Cloud, give this a read, How to Earn your HR Cloud Tattoo, and maybe share your case-study, and tattoo, at the next HR Tech Congress? The ‘Big 2’ tech providers dominate in EMEA with HRMS adoption with 83% of the market. SAP (HCM plus SuccessFactors) make up 52% and Oracle 31%. ADP, Kronos and Workday make up 25%. This might surprise some delegates noting the presence of CoreHR and Workday for example. The ‘Big 2’ have their legacy customers, the onus is on the challengers to prise them away and build their market share. The average cost per employee per year for SaaS for large companies (>10,000 employees) is $116 and for smaller companies (<2,500 employees) this cost is $394. Wearable Technology – 16% of orgs in the survey are using or evaluating. This is an interesting trend to watch which I highlighted in my recent article Quantified Workplace: Trust vs Technology? 55% using wearables believing the benefit to be “increased workforce productivity”. This is music to my ears! For too long, companies have spent too much time tweaking round the edges of on initiatives such as employee engagement. This is often a distraction from solving the root cause of business problems and the looking at the big picture. As we move to new business models and organisational structures, we will need to redesign HR, and the software that supports this. This will quickly supercede some of the current HR debates around talent, performance management and employee engagement. The first good reason for diversity is fairness, allowing all member of society to flourish. The second good reason for diversity, is that if your organisation does not pull its ideas from the widest talent pool to solve problems, then you are likely to lose competitively. There were some presentations showing success in the use of people analytics to solve business challenges such as determining office location, retention, absenteeism and successful recruiting in the Smart Data stream. This year, the percentage of companies that believe they are fully capable of developing predictive models doubled, from 4 percent in 2015 to 8 percent in 2016. This is a hot area, but in danger of not fulfilling its massive hype due to structural issues we have in HR such as skills, data, systems and robust frameworks. Using a house analogy, there is no point investing in smart sensing technology when the plumbing and heating don’t work. I will be writing more about the barriers to People Analytics in subsequent articles. The start-ups seemed to be even busier than previous conferences with well attended sessions and stands. The main areas were in employee engagement, recruiting, learning, employee feedback, onboarding & employer branding. This was a guest blog for HRN Blog,"Five themes from HR Tech World Spring 2016, London"
This entry was posted on Tuesday, April 12th, 2016 at 5:01 pm	and is filed under ADP, Cognitive Diversity, HR Blogs, HR Careers, HR News, HR Operating Models, HR Strategy, HR Technology, HR Tools, HR Transformation, People Analytics, Women and Technology. You can follow any responses to this entry through the RSS 2.0 feed. You can trackback from your own site.